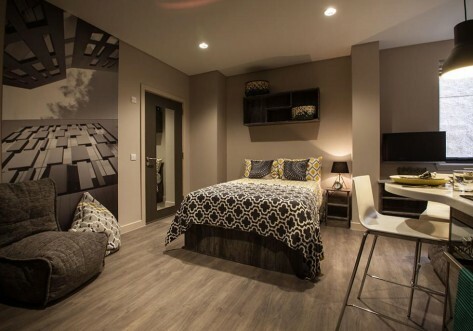 Taking student accommodation to a new level, both Clifton and Stewart Houses offer an idyllic place to stay. 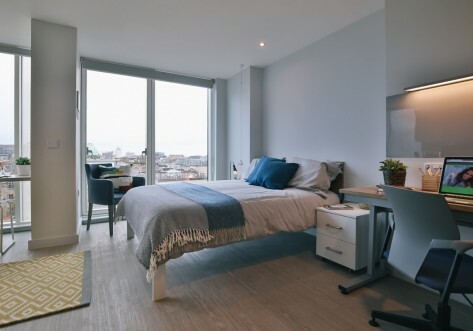 The location is perfect – situated in the good suburban area of Charing Cross in the trendy West End of Glasgow; the accommodation is close to shops, bars and restaurants and the University of Glasgow is only a ten to 15 minute walk away. 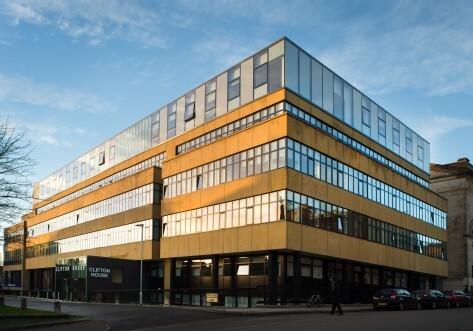 The accommodation is also within walking distance of Strathclyde and Caledonian Universities and the Glasgow School of Art. In addition, The Mitchell Library (one of Europe’s largest public libraries with over one million items of stock) is nearby and there are major bus routes with frequent services to the rest of the city. Charing Cross train station is just ten minutes away. All accommodation is en-suite and there is high-speed WiFi throughout; choose to stay in one of 71 studio rooms which come complete with your own kitchen or opt for one of the 142 rooms in flats that come with a shared kitchen if socialising with fellow students is more your thing – three to eight bedroom flats are available. The accommodation is well laid out and there’s more than ample storage. Clifton House is the livelier of the two properties with fantastic spaces for socialising. 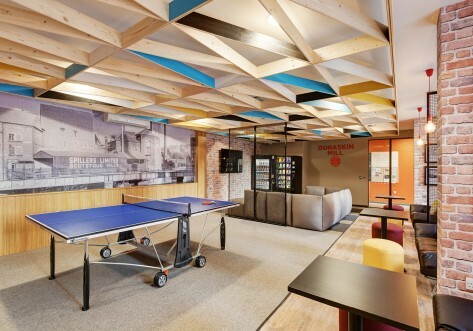 Designed by Bo Concept – the iconic Danish designer – you can expect sleek modern and contemporary design and furniture in the large communal areas including the ‘Work, Rest and Play’ area on the ground floor, breakout social spaces on the 2nd, 3rd, 4th and 5th floors. For film buffs, there’s a state-of-the-art cinema room whilst sporty types will revel in the free on-site gym. When it’s time to focus on studying, there are a number of private study rooms available – the perfect environment for peace and quiet. Throughout the building, stylish black, white and grey combine with brighter colours creating a modern study and living environment. The landscaped amenity areas are wonderful places to chill out and recharge. For even more added convenience, this student accommodation comes inclusive of all utility costs, WiFi and free contents insurance, plus there’s an on-site laundry and a concierge desk at Clifton House, the latter providing both Clifton and Stewart House with 24-hour service including a night porter. For downtime, both Sauchiehall Street and Finneston offer a lively atmosphere with bars and restaurants. Kelvingrove Park, a great place for a stroll or cycle (you can take advantage of Clifton House’s handy secure bike storage), is just minutes away. The bandstand – revamped for the Commonwealth Games – plays hosts to a number of events throughout the summer. The park is also home to the Kelvingrove Art Gallery and Museum – one of the top three free-to-enter visitor attractions in Scotland. At night, the fast-paced life of Sauchiehall Street will entice – it’s just round the corner and offers a great choice of eateries and bars. Clifton & Stewart House is just across Kelvingrove Park and a 12 minute walk from the University of Glasgow, the University Sports Club and Student Union and Glasgow School of Art. Clifton & Stewart House is close to all that the West End of Glasgow has to offer: shops, restaurants, cafes, and bars and is just minutes from the City centre. Clifton and Stewart House are just across from Kelvingrove park. On sunny days take your books across the road to Kelvingrove Park and study in the fresh air or just wander around the park enjoying the views and chilling out. Secure your room for £1!